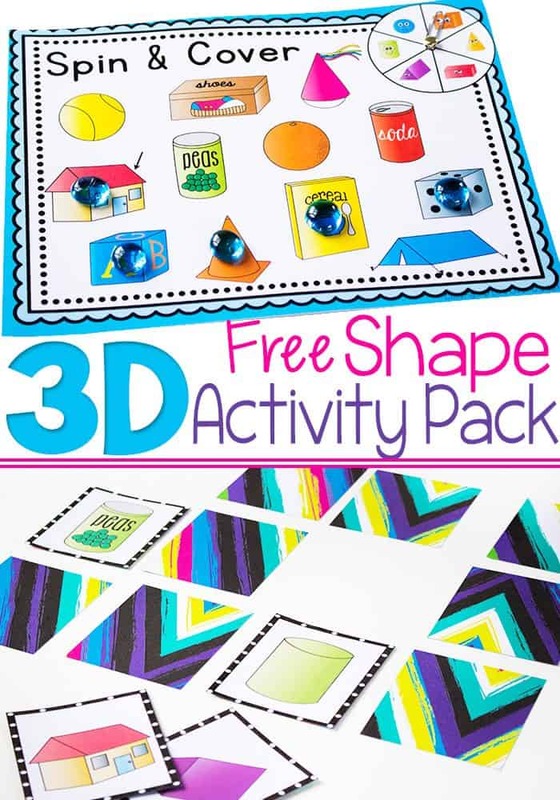 Here’s a fun set of free printables for teaching 3D Shapes (solids)! 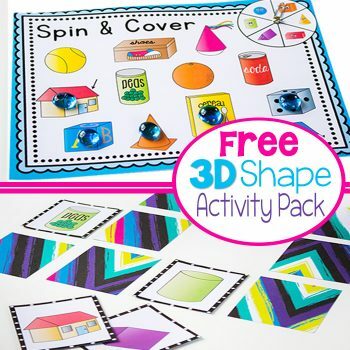 We had so much fun with our 2D shape activities, that I decided we needed a 3D set to go along with it. We’re just getting started with 3D shapes for Jaida, my first grader, so this is a fun set to introduce her to 6 of the solids: cone, rectangular prism, triangular prism, sphere, cube and cylinder. I love the mix of the picture representations and the ‘real life’ pictures. It really helps kids to see that shapes are all around them. I used pictures to help Jaida ‘read’ the new words. 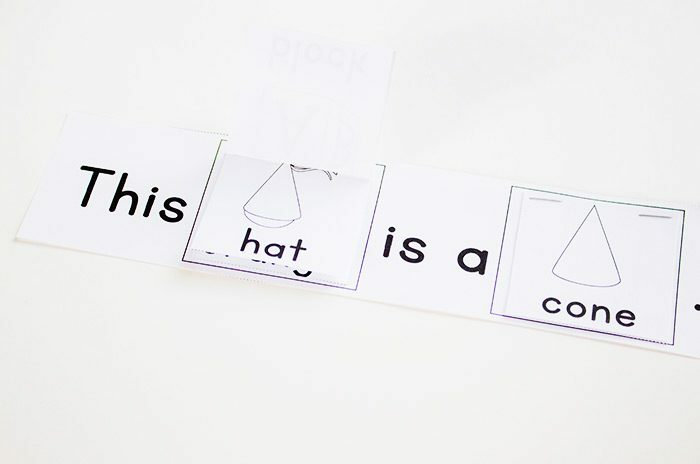 She can’t actually read them yet, but the picture helps her to recognize the shape that we have talked about and see how the letters work together to form those big words. 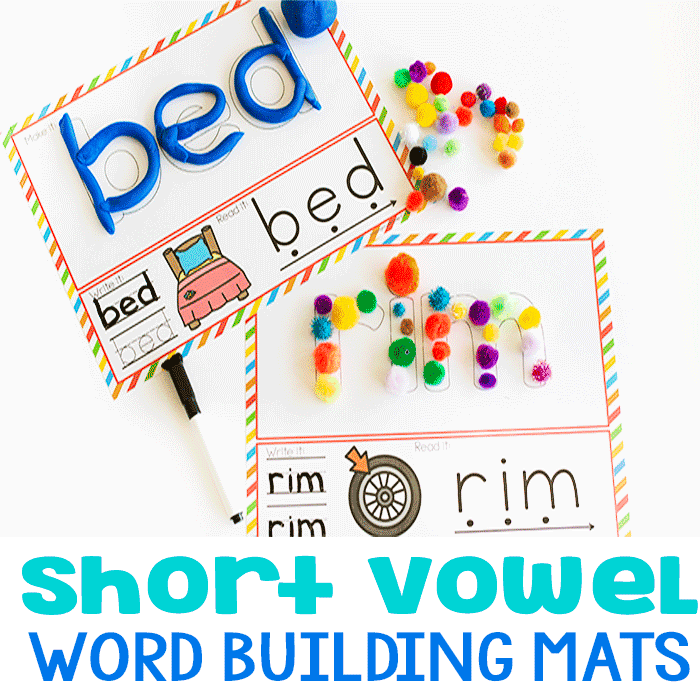 Plus a few important sight words and she is well on her way to creating sentences! 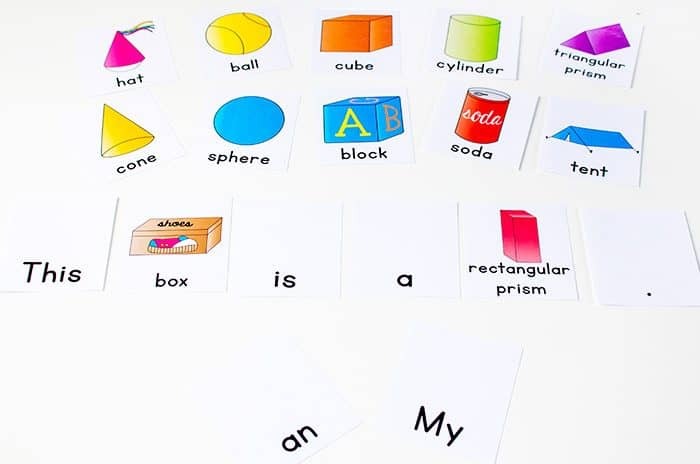 I mismatched the various flaps, so that Jaida needs to find the matching real life object and picture representation to complete the sentences. 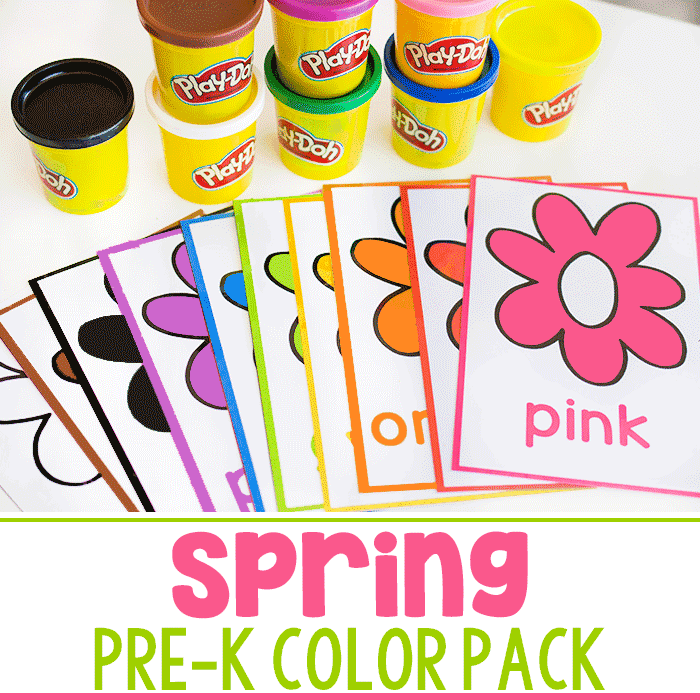 This can be used as an independent matching activity or as a concentration game for finding the pairs. 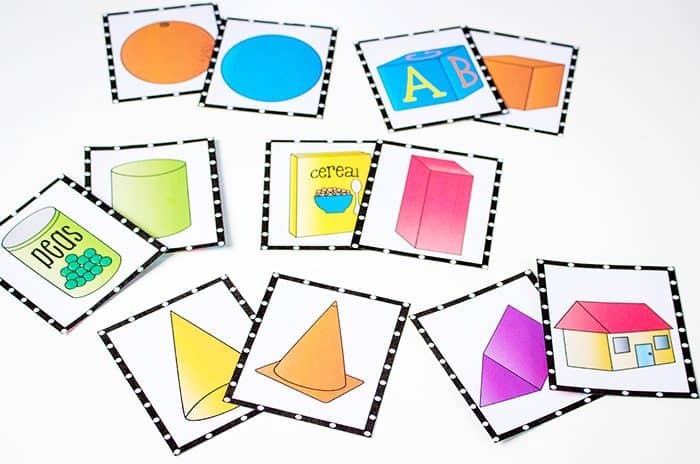 I print all of my memory games on the white side of scrapbook paper so that they are not see-through, but you can also use card stock or put a sticker on the back of each card. We love spin & cover games! To assemble, simply add a brad and paper clip to the center of the spinner and you’re ready to go! 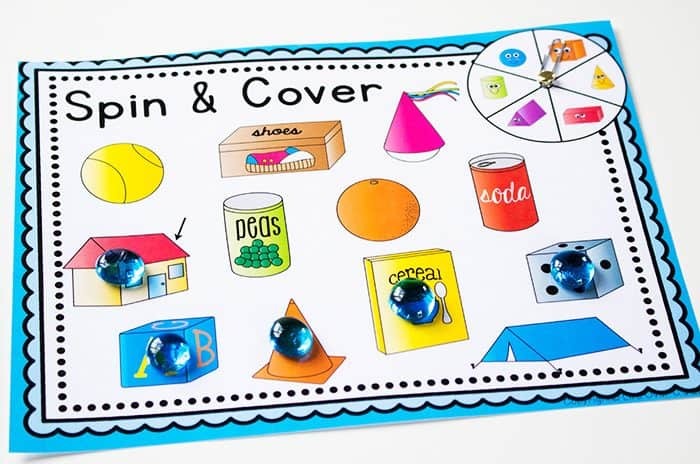 As the spinner lands on the different shapes, you can cover them with a button or other place marker. You can find the directions for using it as a partner Bump! game here. I like these worksheets. 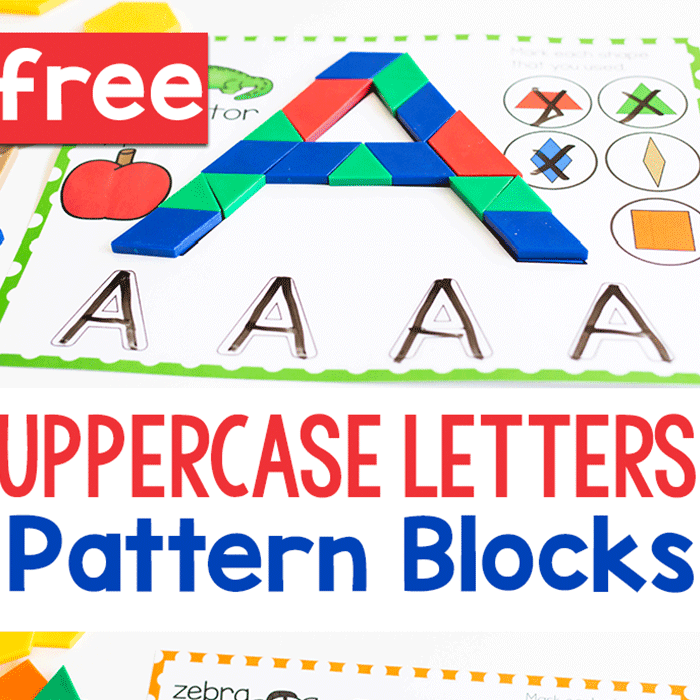 Very engaging for elementary kids. Thank you for sharing.